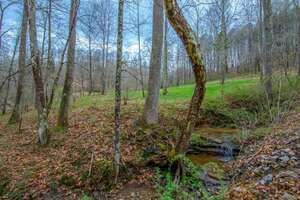 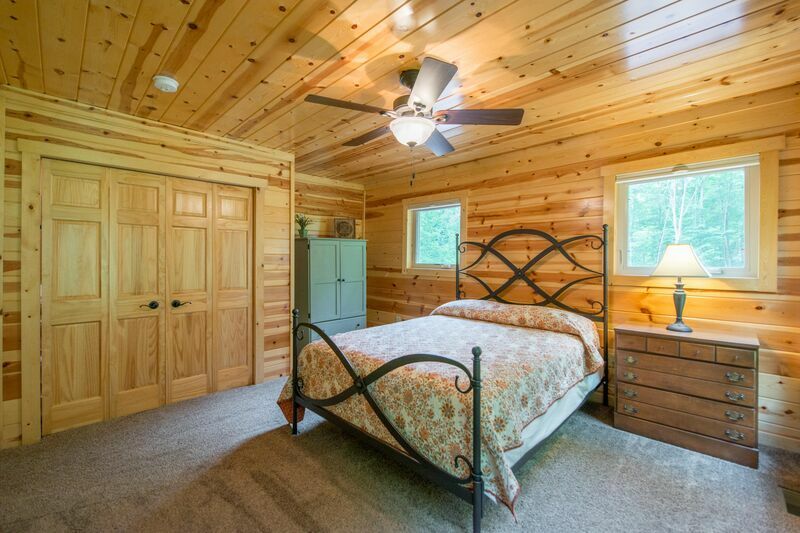 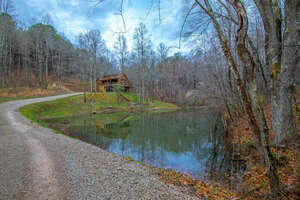 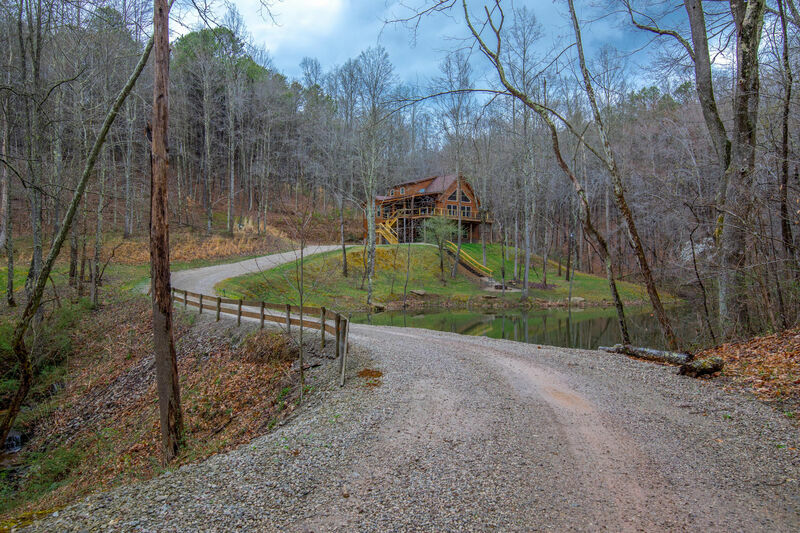 You will immediately fall in love with this sprawling, private, heavily-wooded, 40-acre estate featuring a large spring-fed stocked pond and some of the highest elevations in Hocking County. 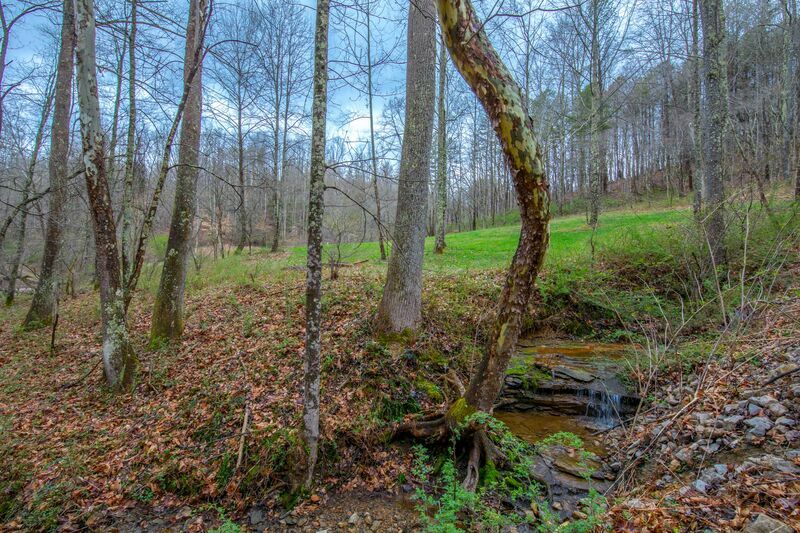 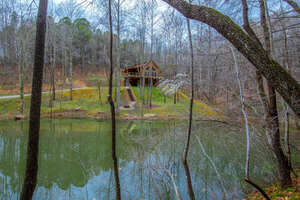 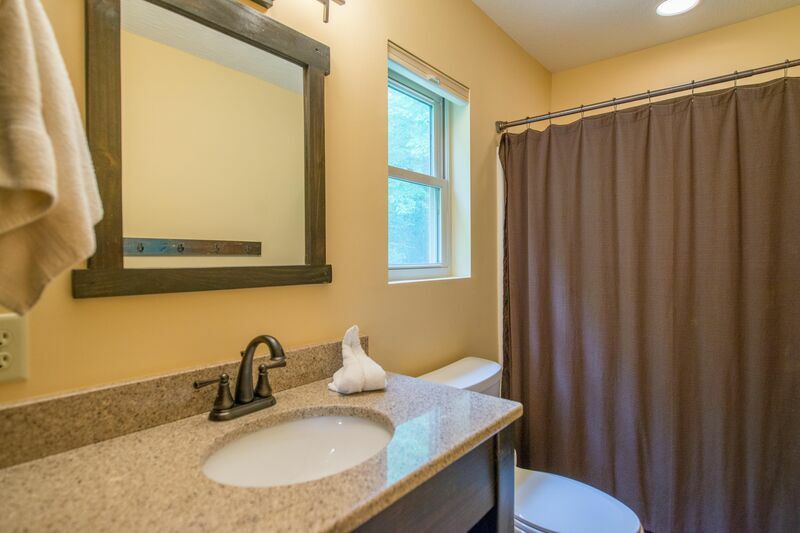 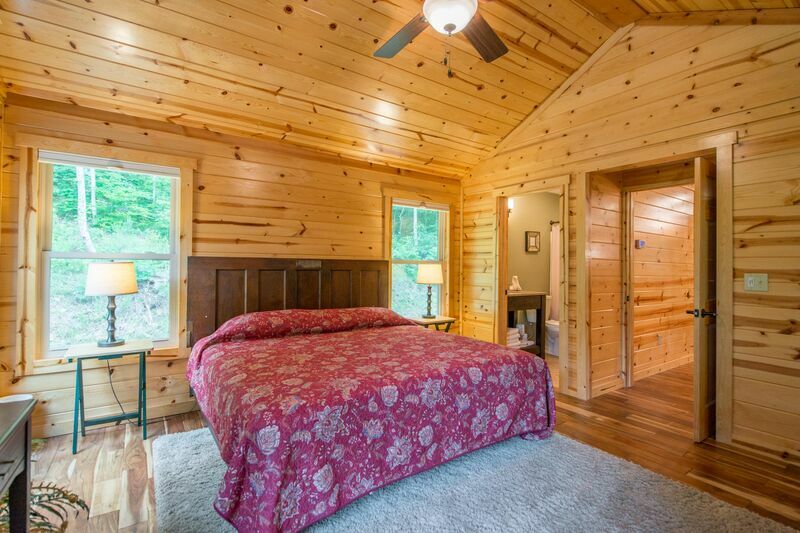 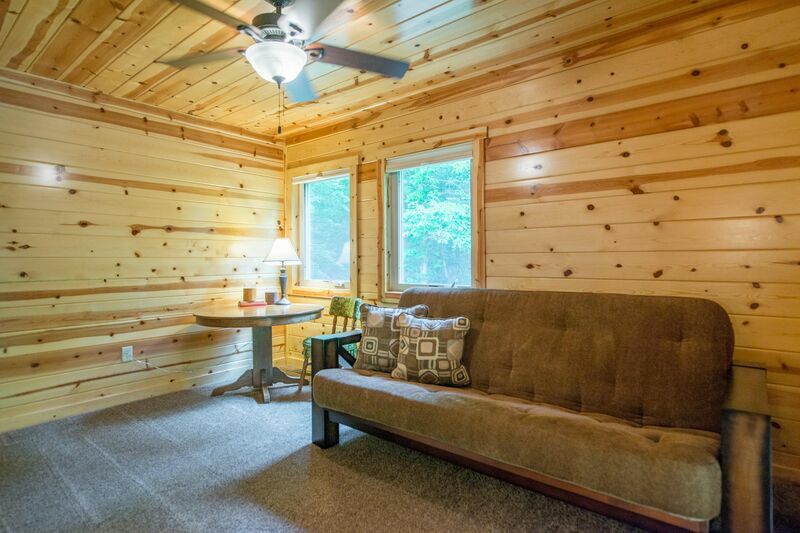 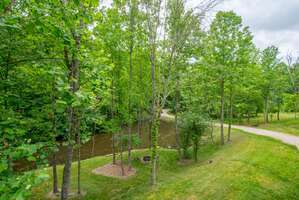 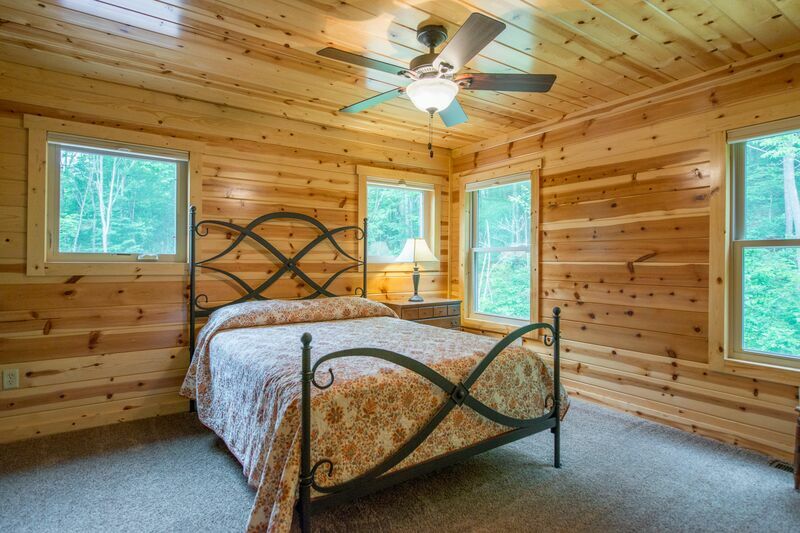 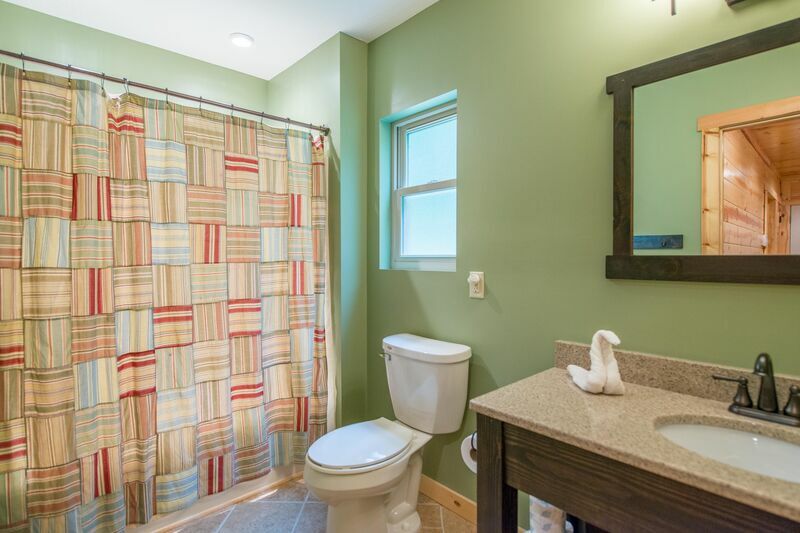 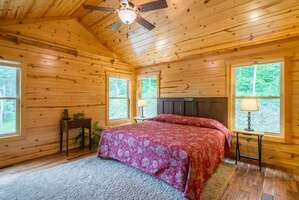 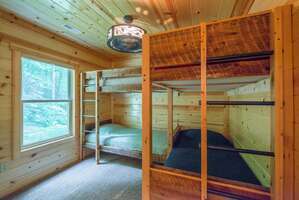 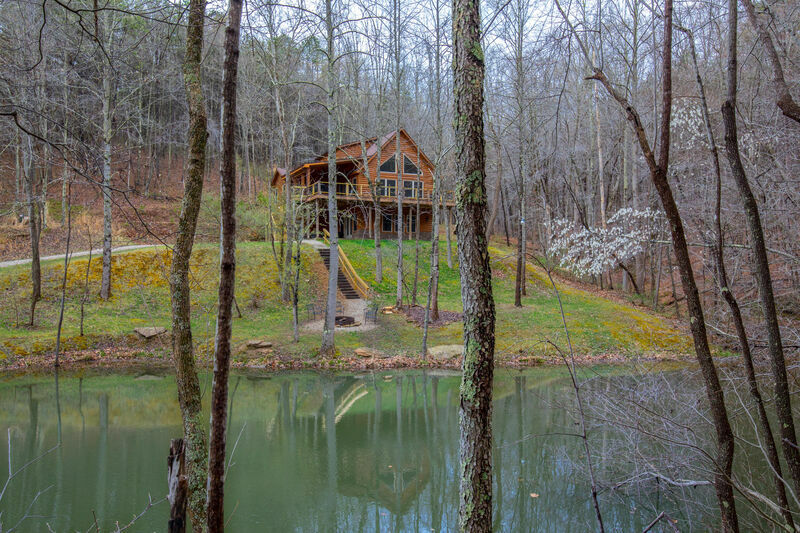 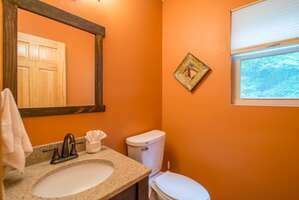 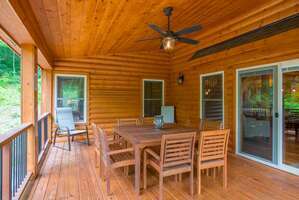 You and your guests can take-in all the beauty, nature, and serenity the area has to offer as you explore the property hiking along the streams which trickle down from atop the surrounding hills feeding the pond below. 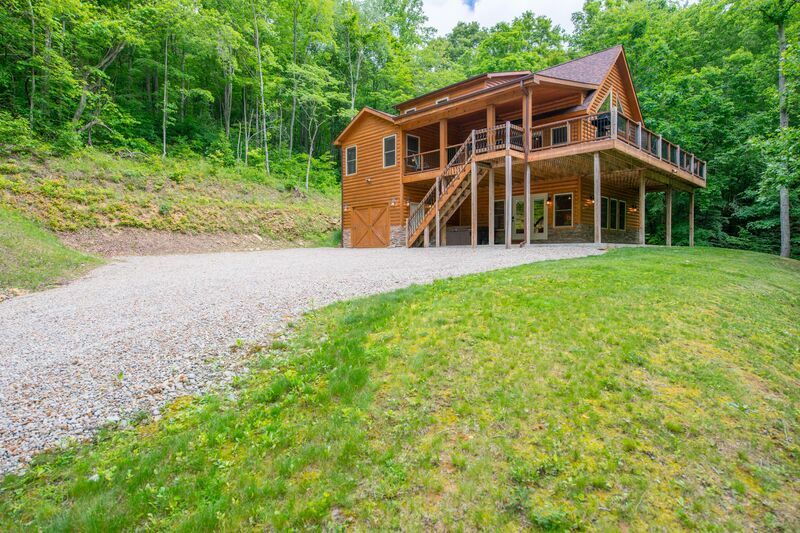 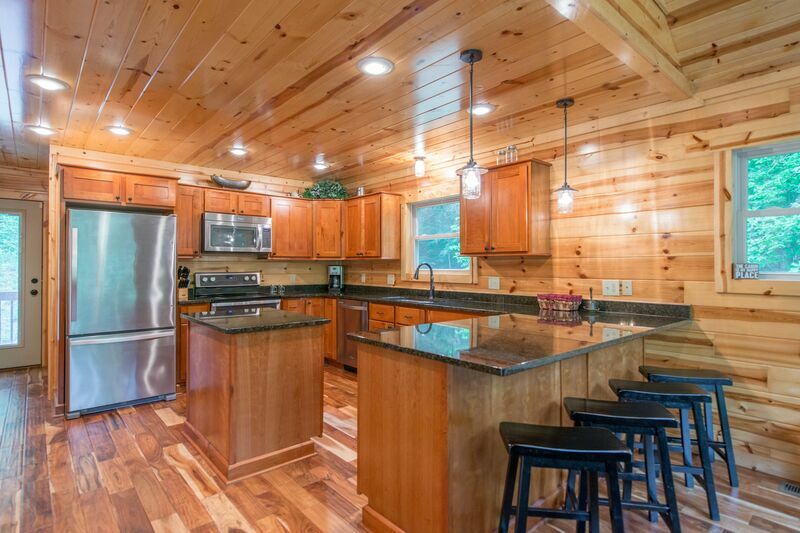 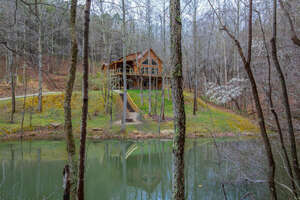 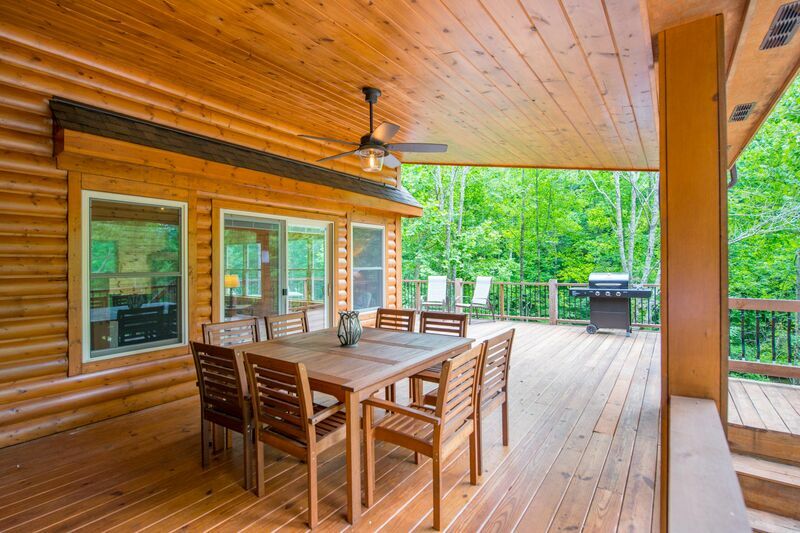 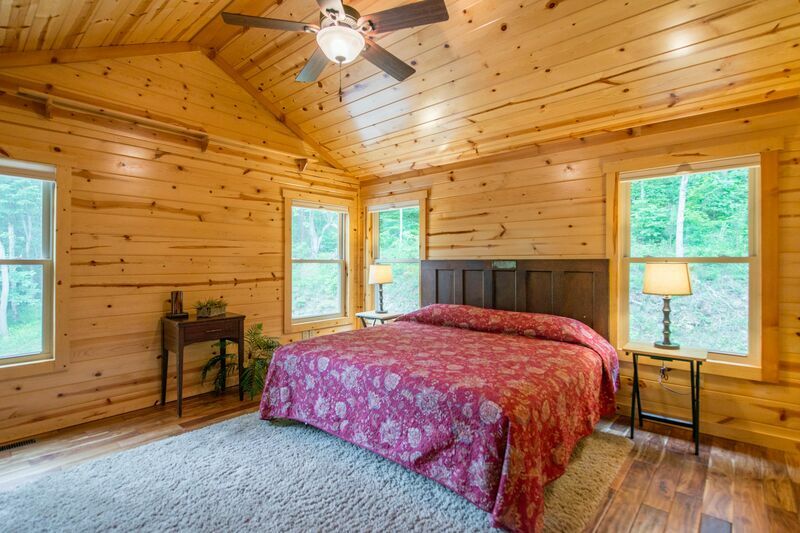 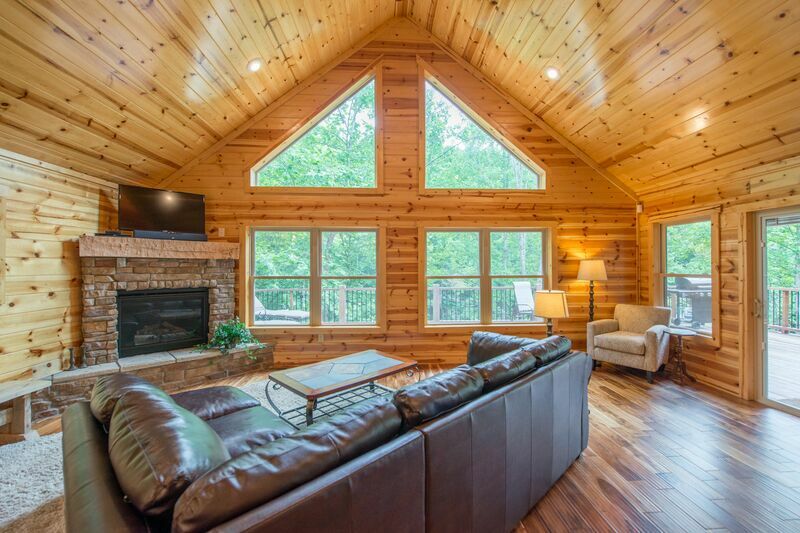 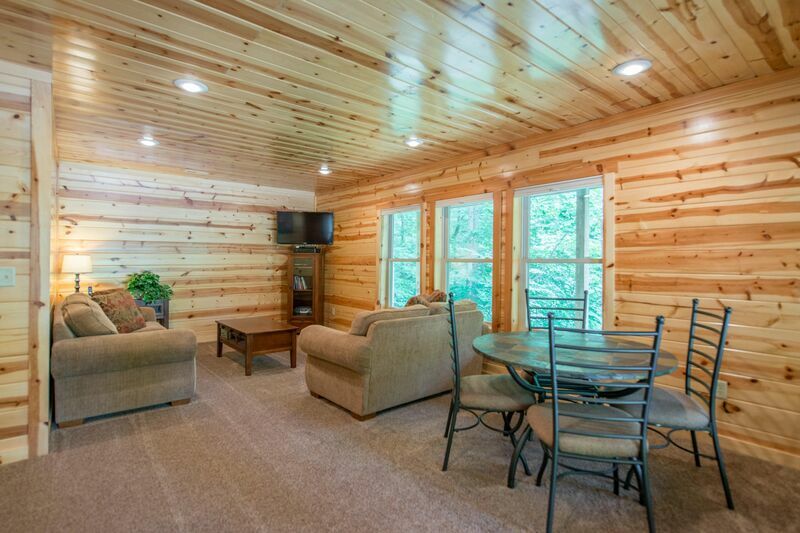 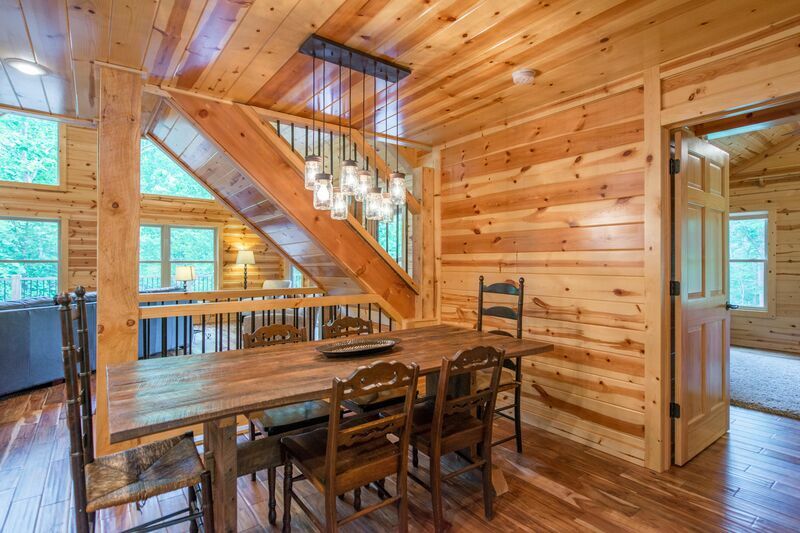 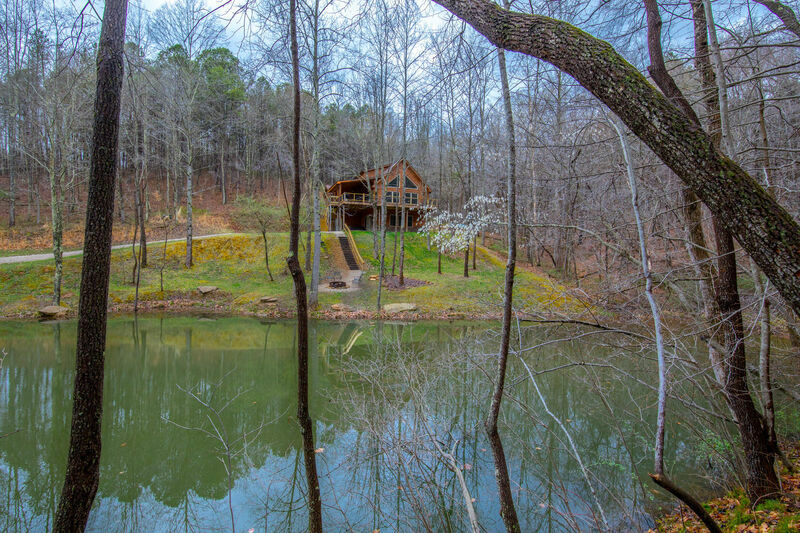 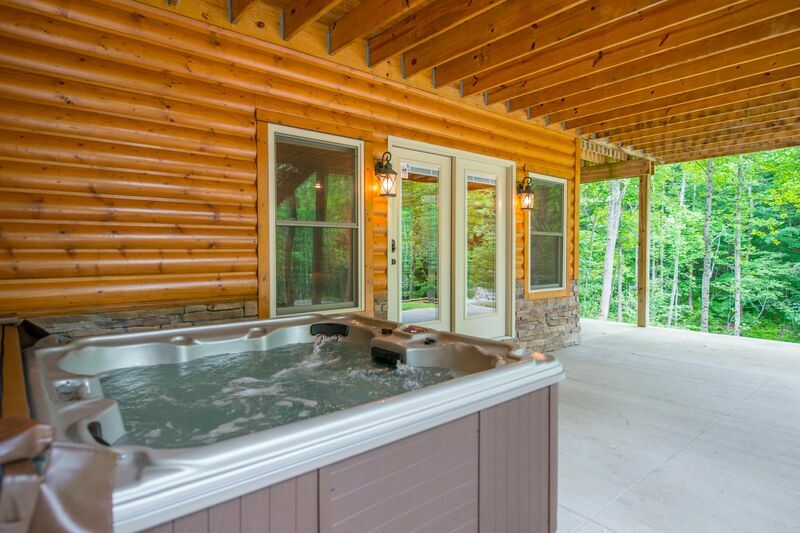 From the 2nd story, wrap-around deck, you will observe breathtaking views across the pond. 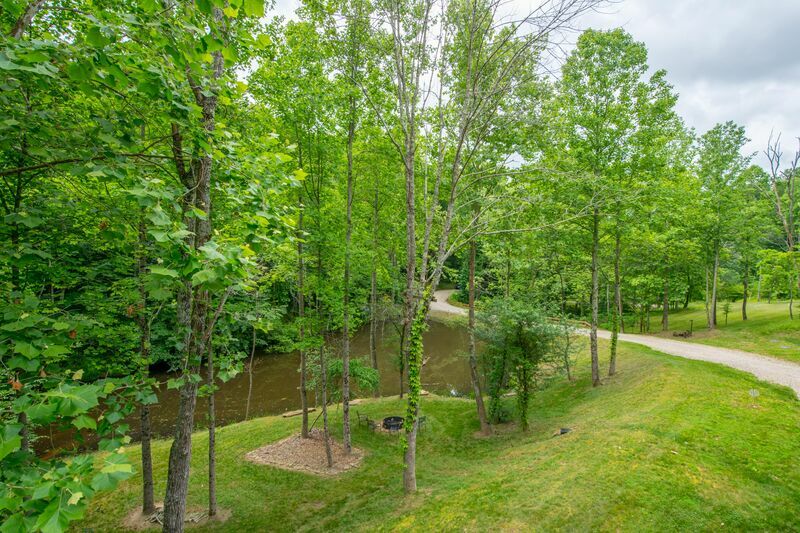 Experience nights gathered around the firepit with family and friends along the shores of the pond. 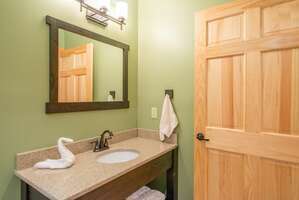 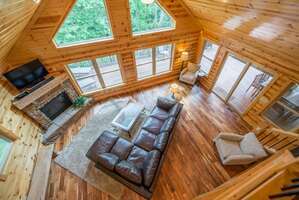 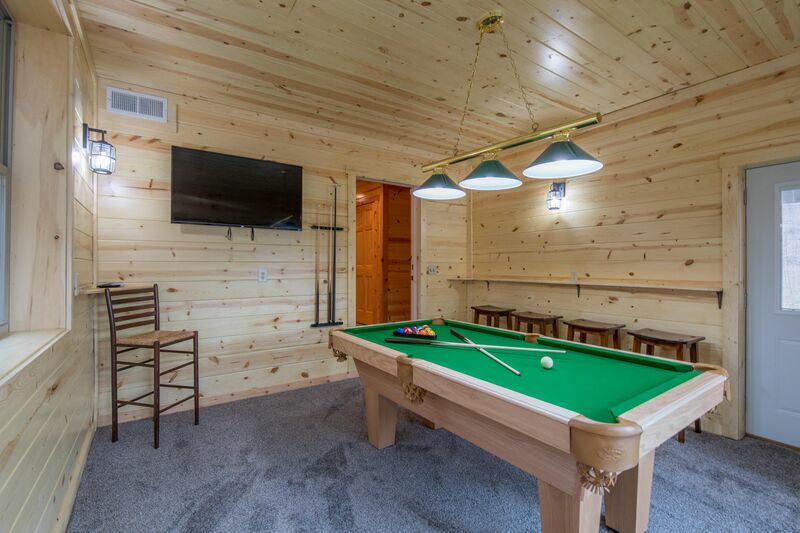 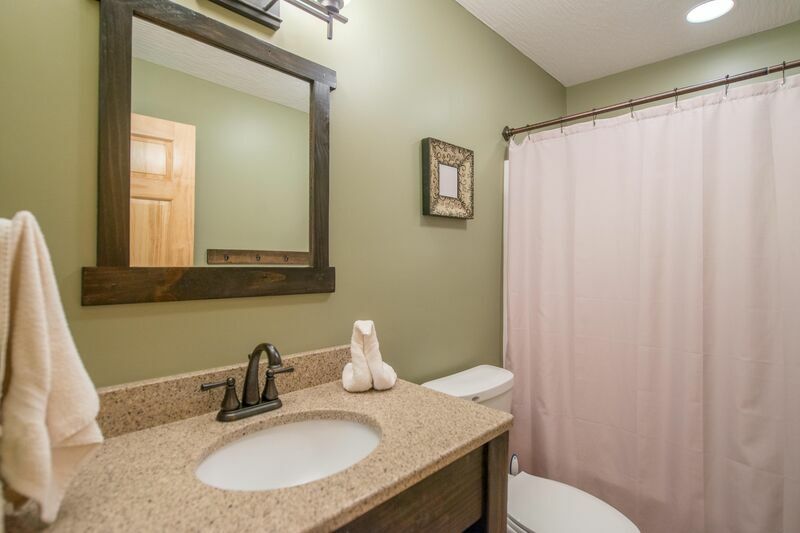 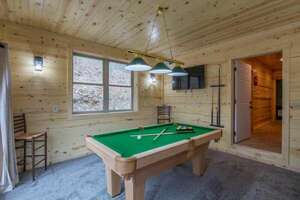 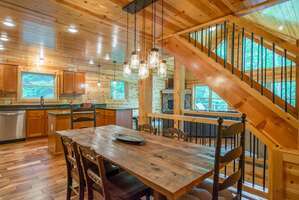 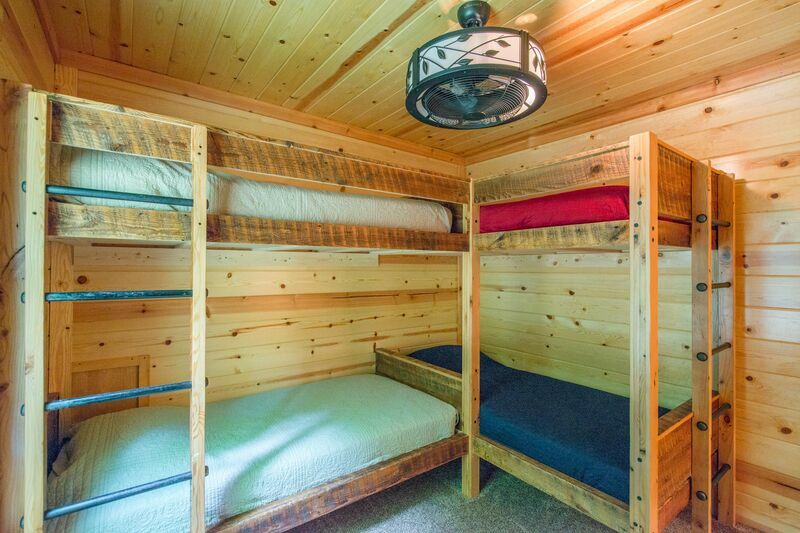 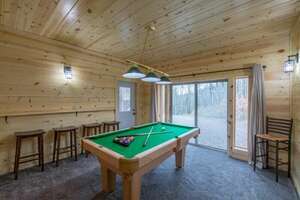 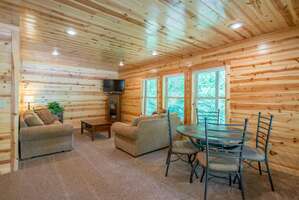 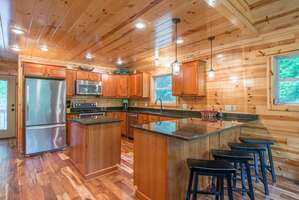 Inside, your cozy, well-equipped Chalet will accommodate up to 10 guests with 3 bedrooms, 3.5 baths, large, open kitchen, upper-level loft, and finished lower level featuring a rec room with billiards, ping-pong and entertainment area. 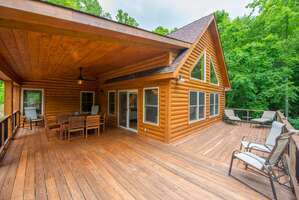 The latest in broadband, high-speed satellite internet technology will also keep you connected and entertained for those that desire to be. 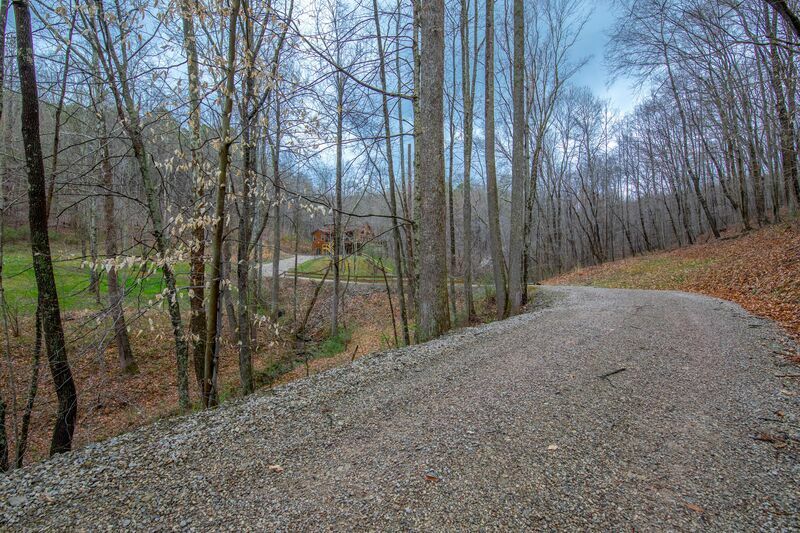 Driveway is gravel with a moderate incline to the lodge. 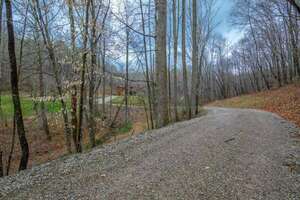 4-wheel drive is recommended in winter months.